Tang's New Iced Tea packaging attempts to woo your taste buds too. Orange Powdered Juice Beverage leader, Tang, recently released their new packaging – not for their juice brands – for their iced tea drink. This is not a new product since they released this variant about a year or two ago. The look and feel doesn’t make much of a difference as Nestea already dominates this category and the brand itself. How? Go ask a waiter who serves iced tea and see if someone from your group would readily ask, “Nestea?” What’s exciting for me though are the flavors that they came up with, which includes – aside from Lemon – Apple and Strawberry flavors. These two flavors are new and something the public would readily try out and Nestea groping to stay solid in this market. 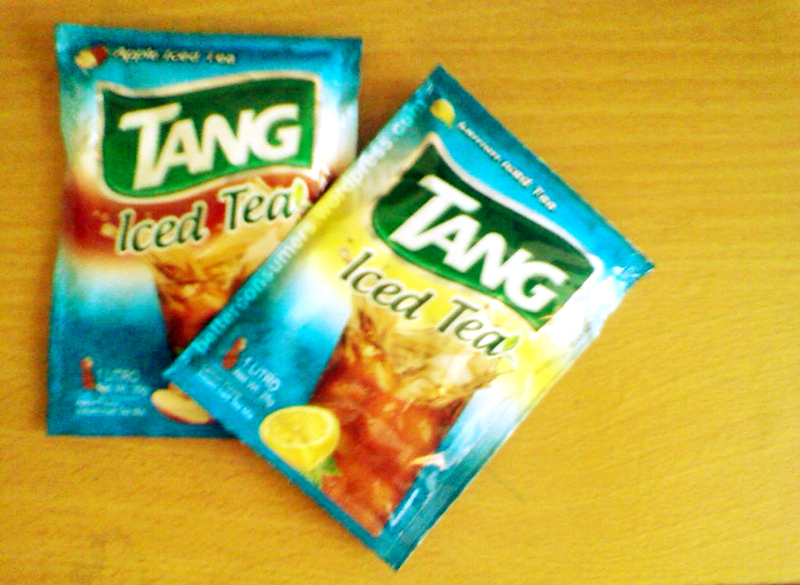 If Tang becomes successful, I’m sure Nestea will not hesitate to come up with it’s own variants competing with Tang’s new iced tea flavors. Tang is highly favored in the fruit juice brand category with Mango, Grape, Pineapple, and Ponkan flavors supporting their traditional Orange juice mix. Nestea, on the other hand, has Calamansi and Four Seasons flavors. See what other product bears new packaging!